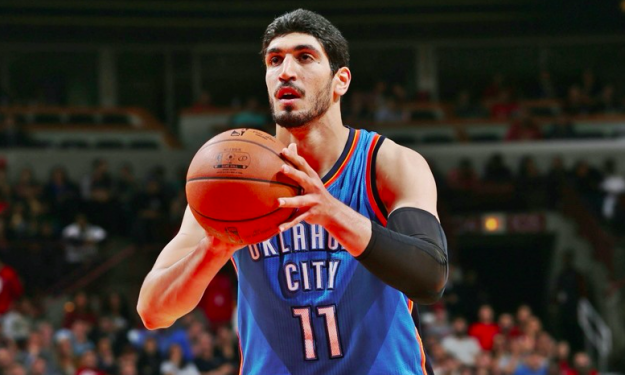 After learning the news of his disownment by his father and family, Enes Kanter posted a response in his secondary Twitter profile, that he created after his officially account was withheld in Turkey. It didn’t take long for Enes Kanter to post a response after learning the news of his disownment by his father and family. The Oklahoma Thunder center wrote a letter, which he uploaded in his official Twitter profile, as well as his secondary account which is still active in Turkey. “Today i lost my mother, father, brothers and sisters, my family and all my relatives. My own father asked me to change my surname. My mother, who has given me life disowned me. My brothers and sisters with which we have grown together ignore me. My relatives don’t want to see me again. For Gulen’s work, which has been grown by the tears of loyal and devoted people, not one but thousands of Enes could be sacrificed. I would sacrifice my mother, father and whole family for Gulen’s sake. I would give my head for this case. I hope my God would take from my life and give it to Gulen. I would sacrifice my heaven and i would laugh through hells for this service. My love for Gulen is more than my love to my mom, father, brothers and sisters and all other loves. My mom and my father would be sacrifice for you, for this service, for this case. There should be no doubt for everybody! God will take care to those people who are the supporters of this case, God will ramp up! Hang on my big brothers, hang on my big sisters! Hang in there! Let’s not lose that test. Let’s not be the losers at that victorious time. From now on, my sisters and brothers are the supporters of that service in 171 countries. Soldiers of that service are my brothers and sisters. From now on, my family is my Hodja (Gulen) who has tears in his eyes. Tyrants will be swept away in time. Hang on, God is with us. My god will make everything good It’s an indispensable case. There is God, there isn’t grief.